In The Beautiful and Damned, F Scott Fitzgerald’s profligate main characters embody the two adjectives in the title. The novel – an attempt to critique the excesses of America’s jazz age – ended up as a rather self-indulgent byproduct of it instead. Fitzgerald’s narrative only superficially encounters the oppressed classes, on whose labour the froth of that era floated. Siddhartha Deb added an article to that title for his first non-fiction book, The Beautiful and the Damned: Life in the New India, and the alteration is significant. Here, the adjectives describe two discrete groups: the beautiful who, like Fitzgerald’s characters, are the face of India’s wealth; and the damned – those pinned to the peripheries of modernity by corrupt systems and the spread of capitalism. The Beautiful… is a smooth, under-300 page read, dressed in a tastefully kitsch cover, and well-suited as a catalyst for conversation. Through a reflective introduction and five chapters, each profiling a different individual or group who represents a larger swathe of society, Deb concludes that a culture-wide acceptance of aspiration sustains the lopsided economy that separates the beautiful from the damned. Deb opens with the story of Arindam Chaudhuri, the private management school mogul. A version of this chapter appeared in the February 2011 issue of Caravan magazine, which, along with the author, Penguin India and Google India, was sued for defamation by Chaudhuri’s institution. That chapter, conspicuously absent from the Indian edition, is still being circulated on the Internet, where it has spawned a lively debate. “I like to think it’s become a bit of a multimedia project, Deb told Time Out. “The missing chapter is [the plaintiffs’] contribution. It’s a collaborative exercise.” While he felt that the Indian edition was “kind of an amputed version,” he’s Deb is glad that “in a way, it’s part of the debate that’s opening up”. Deb had less provocative intentions when he took on the book. It began as a “wildly overambitious” way to secure a publishing advance, to cope with the financial demands of being a new father. Through five years of research, writing, and winnowing down, he settled on “five kinds of characters, who provided sufficient contrast to brush against each other.” Besides Chaudhuri, Deb explores engineers and identity crisis in IT-fuelled Bangalore in “Ghosts in the Machine”. He reports from the “navel” of India, writing in deft, evocative prose of the dusty farmlands of Telengana in “Red Sorghum”, and of steel factories stoked by the human fuel of migrant labour in “The Factory”. Finally, “The Girl from F&B”, follows a Manipuri waitress in an upscale Delhi restaurant. 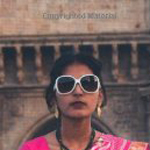 As reportage, the chapters from the geographic heart of India are the strongest. Deb said he wanted to go beyond narrative journalism, to add “the layer of a novel”. Each chapter is prefaced by a series of outlining phrases, which bring to mind old-fashioned travelogues, or a novel published in installments. While writing, Deb watched The Wire – “a modern version of a nineteenth-century Dickensian serialised novel”. Other inspirations included George Orwell’s Road to Wigan Pier. Orwell’s book includes the expenditure lists of unemployed miners, and Deb “was stunned by the fact that he could make weekly accounts so interesting”. Though Deb doesn’t feel disconnected from India (he retains citizenship), as a US resident he is able to detach from this “vast, fascinating and grotesquely unequal country”. Appropriately, a main reason for staying abroad – his young son – ties him to his characters in the most fundamental way. For despite their wrenching poverty or blinding wealth, the common denominator among new Indians is still an old truth: the people around you, especially family, always take precedence over idealism or the common good. The Beautiful… isn’t an attempt to reverse this psychology – it’s a firm reminder that the personal and the universal go hand in hand. “I want people to know that we’ve been in a fever dream about becoming a superpower,” he said. “And if we don’t treat each other well, it won’t last. 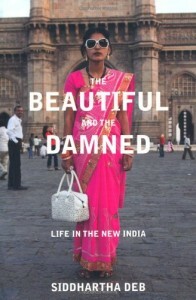 The Beautiful and the Damned, Penguin, ₹499. Originally published in Time Out Delhi, August 2011.